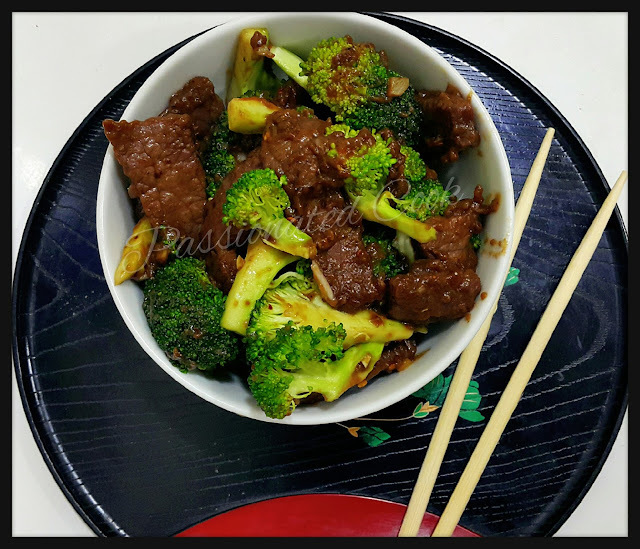 The first time I had this combo of broccoli with beef was Singapore Universal Studios Panda express eat out. We loved the taste of it but unfortunately I don't cook much of red meat at home due to the high fat content in it, not only that... My daughter doesn't like the dark colored meat but this time when I went for groceries I thought of trying out the broccoli beef recipe. Of course it was a struggle for me to get the meat inside her... Haha. vegetable oil in a large bowl. 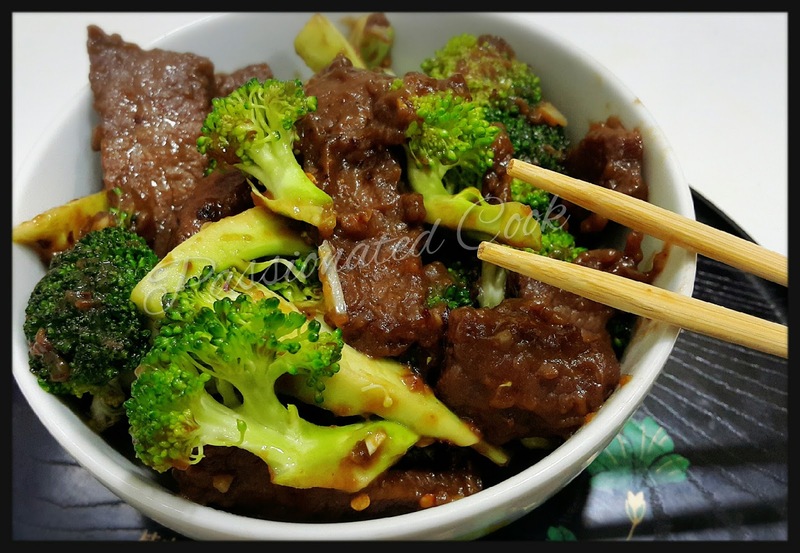 Toss the meat with the marinade to coat. Cover and refrigerate at least 1 hour, then proceed below. 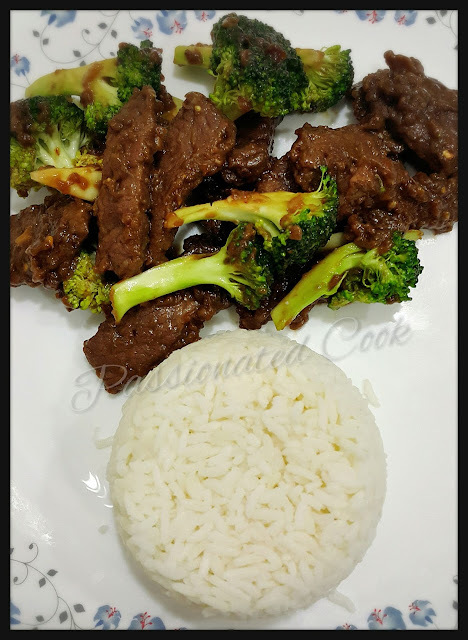 In a large wok or saute pan, heat 2 tablespoons of the vegetable oil over high heat until smoking point. Add broccoli and saute 3 minutes, stirring often. 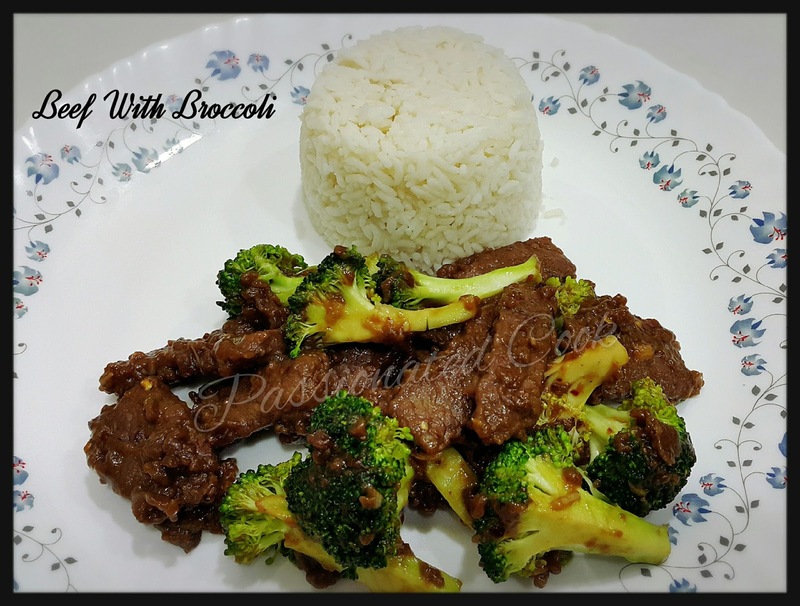 Transfer broccoli to a plate. Add the remaining tablespoon of oil to the hot pan. 4 mins more, stirring often, until the meat is cooked through and no longer pink. 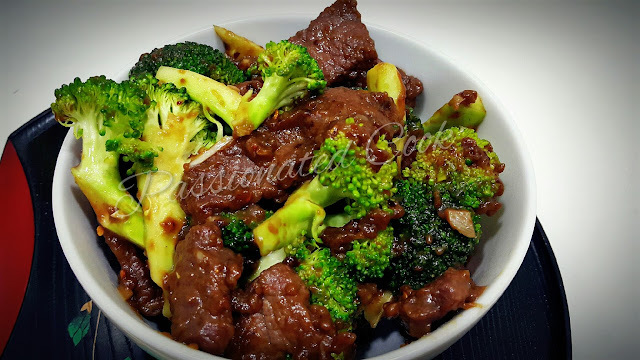 Stir in the broccoli and remaining sauce. Saute 1 minute more.